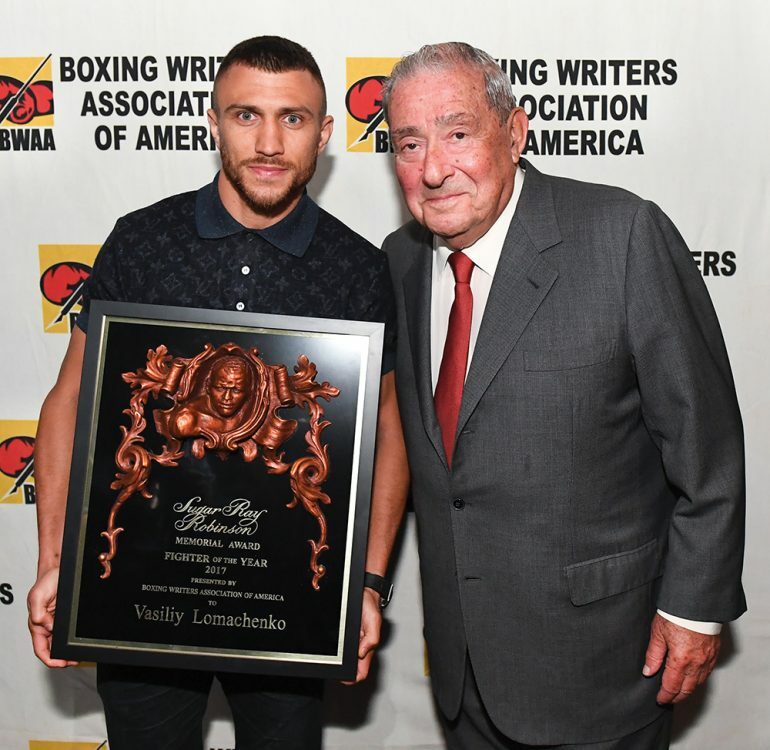 The Ring Magazine/WBA lightweight champion Vasiliy Lomachenko (left) with promoter Bob Arum of Top Rank. Some folks are surprised that four-division beltholder Mikey Garcia is looking toward a showdown with undefeated IBF 147-pound titleholder Errol Spence Jr. They ask: Why not look for someone closer to you in size? Closest in size, and perhaps skill level, is The Ring Magazine lightweight champion Vasiliy Lomachenko. 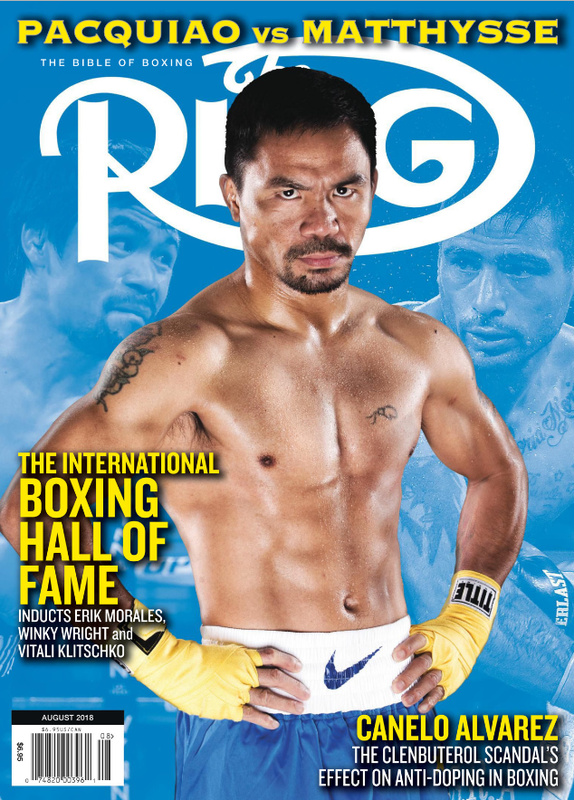 On Saturday, Garcia (39-0, 30 knockouts), 30, wrested the IBF 135-pound crown from Robert Easter Jr. to go with his WBC version, and is widely regarded as one of the five best boxers on this planet. Lomachenko (11-1, 9 KOs), 30, also has the WBA lightweight strap in his possession. According to both fighters, the best fighting the best is their aim. So why the talk of Garcia vs. Spence and not Lomachenko vs. Garcia? I reached out to Top Rank’s Bob Arum, who promotes Lomachenko, and used to promote Garcia until Mikey and Arum’s crew parted ways. No, it was not an amicable parting, as people often take pains to try and portray such fractures. And we on the outside wonder if the water under that particular bridge is still choppy, still tainted and not fit for swimming. Arum told me no and he is open to making a Lomachenko versus Garcia fight. First we chatted about Garcia’s showing against Easter. We agreed: technically, ultra-sound. We both also saw some of that lack of urgency, that inclination to be very, very economical in his output, which was present in Garcia before he took his two-and-a-half-year hiatus. For the record, I sent these quotes to Team Garcia, so if they want to respond, they are free to have the floor. I put it to Arum directly: Is the water under that bridge too choppy to do a deal? Is anyone in this equation holding onto a grudge?